In the summer we all show a little more skin because of the rising temperatures and I don't know about you, but I want the skin I'm showing off to look nice, which means keeping it smooth. One of my favorite ways to keep my skin smooth is to use a scrub while I'm in the shower. 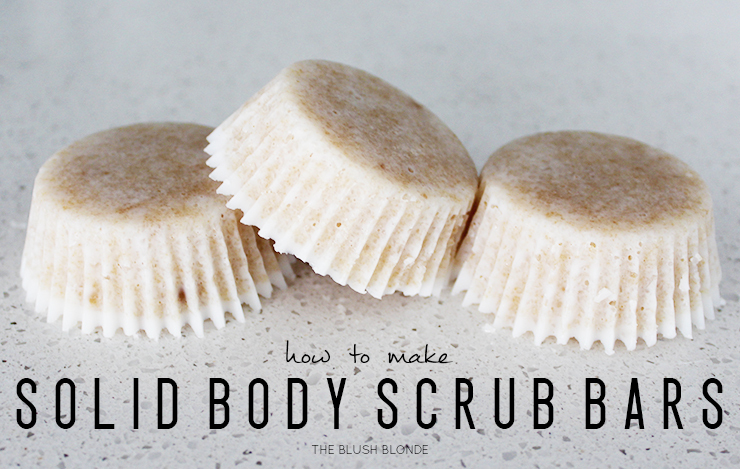 The thing I love about body scrubs is that they're easy, fun, and inexpensive to make at home. I had been trying to think of a way to make using a body scrub easier and one day I realized that I could figure out how to make a solid scrub. After toying with a few different ideas I came up with this recipe and I love how it came out. 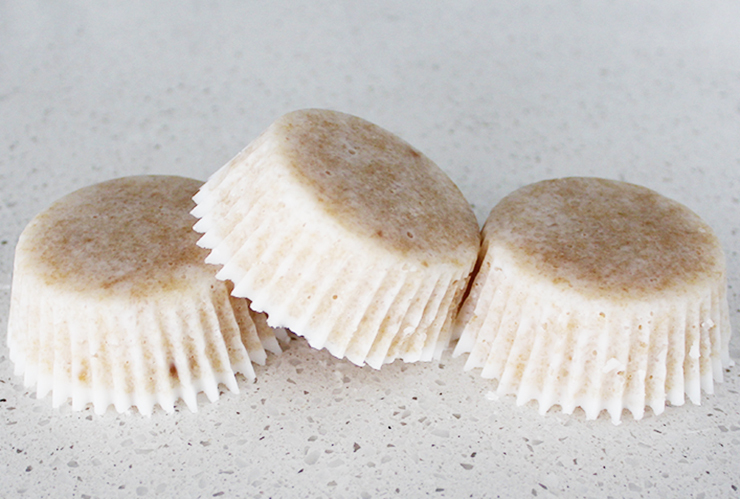 The coconut oil and shea butter is what make these solid, but they melt down while you use the bars to help moisturize the skin. These bars can get a little soft so you can either use them to scrub as a bar or break off little pieces to use. I made a bunch for my Mom and myself and we keep ours in the fridge to make sure they stay very solid because we like to scrub directly with the bars. We've been loving using them because they've made our skin so soft and perfect for summer! Give these a try to get smooth skin and ready for summer. 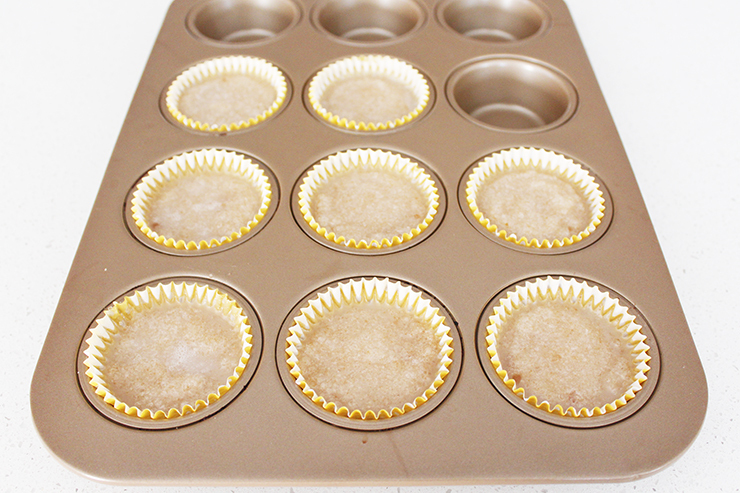 -Line a cupcake pan with eight cupcake liners, set aside. 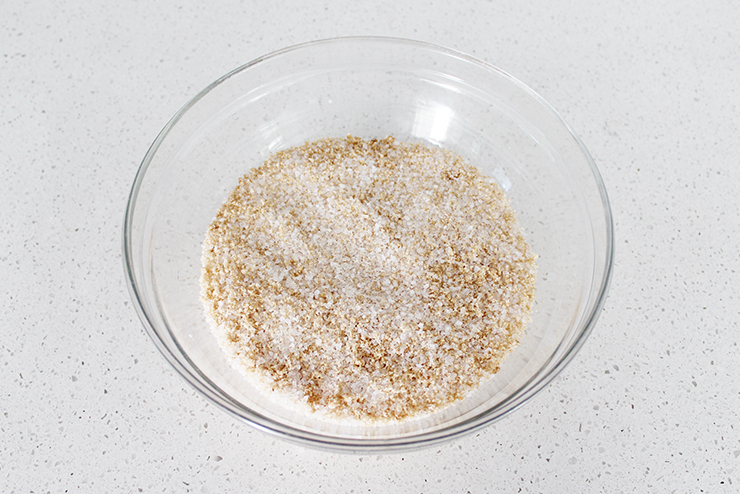 -Combine sugar, brown sugar, and sea salt in a bowl, mix well and set aside. -Put coconut oil and shea butter in microwave safe bowl. 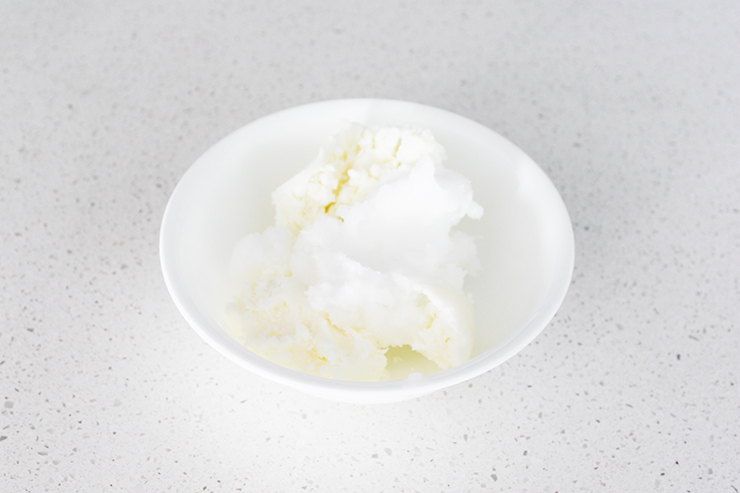 -Microwave the coconut oil and shea butter for 30 seconds, then mix. -Microwave the mixture on 15 second increments, mixing between each, until the coconut oil and shea butter are completely melted. -Add the melted coconut oil and shea butter to the sugar/salt mixture and mix well. 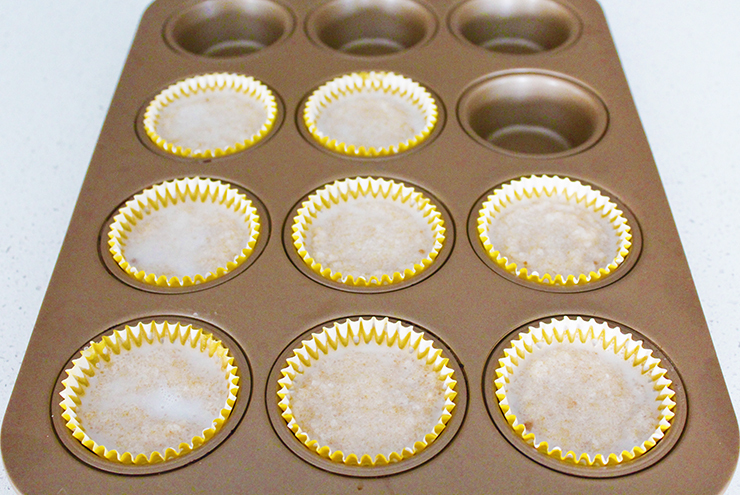 -Fill each lined cupcake cup 3/4 of the way with the mixture and flatten the tops of the bars (or it will set uneven and/or lumpy). -Place in the refrigerator and allow to set for a few hours. -Store in a container or baggie. -Store at room temperature for a softer bar and store in the refrigerator for a more solid bar. 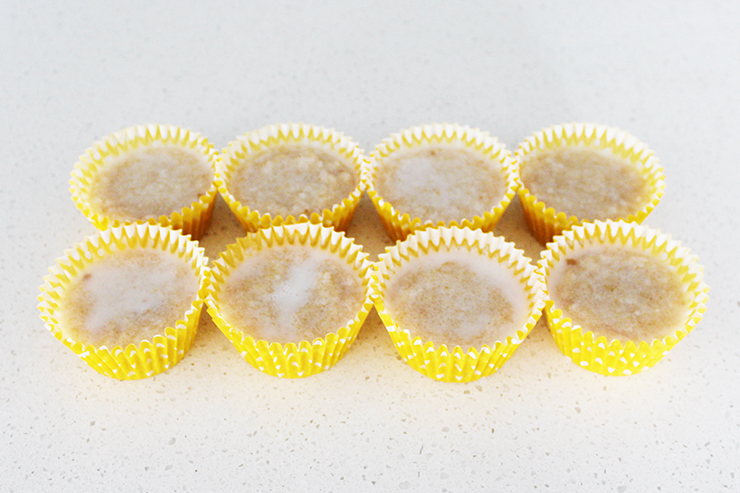 -Peel off cupcake liner before using. 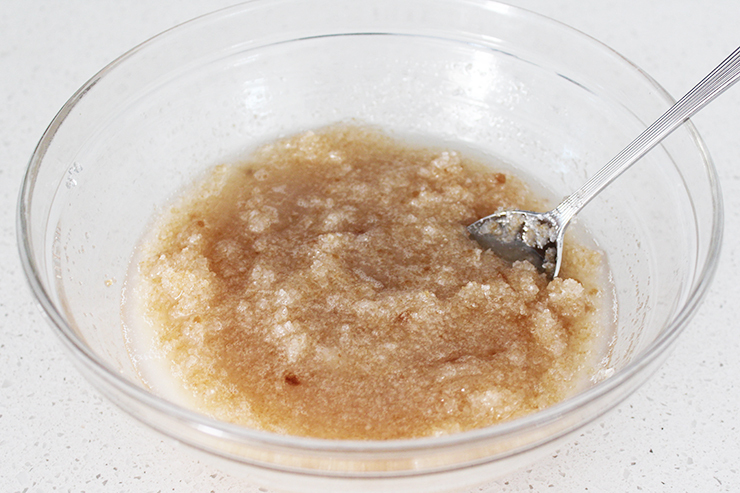 Do you ever make your own body scrubs? What are your favorite ingredients to use when you mix one up? I love body scrubs and these ones look awesome! I'll have to try them! I'll have to try this! Thanks for sharing! This sounds like a great gift idea! Definitely pinning this! What a great DIY! So fun! These look so simple to make! I'll definitely have to try this sometime! I love these! I never would have thought of making body scrub into a solid bar! Genius! These are awesome! I'm going to bookmark this and save it for my next girls night with my niece, she'll love the DIY and spa night! I LOVE this idea! I cannot wait to make my own!